Now on a national tour! Dance like you’ve never danced before! FLASHDANCE-THE MUSICAL tells the inspiring and unforgettable story of 18 year old Alex, a welder by day and ‘flashdancer’ by night, who dreams of going to the prestigious Shipley Dance Academy and becoming a professional dancer. When a romance complicates her ambitions, she harnesses it to drive her dream. 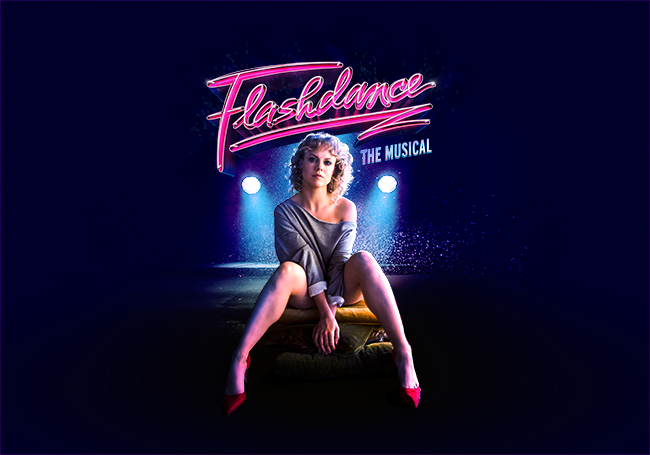 Prepare to be blown away with an astonishing musical spectacle and phenomenal choreography to this iconic score including the smash hit Maniac, Manhunt, Gloria, I Love Rock & Roll and the sensational title track Flashdance – What a Feeling. For tickets and more information please visit www.flashdanceuktour.co.uk.